Lack of physical activity: This one is the ultimate culprit. 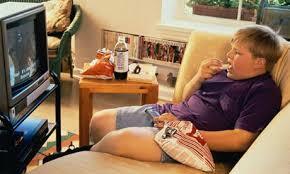 If your child is not playing enough, not doing the regular things what children do, he is surely going to become obese. With the advent of newer technologies and scarcity of playing grounds around, children are becoming more and more addicted to screens. For example, in the 90’s, kids were seen running, diving, skateboarding, swimming, cycling and what not! In the 21st century, swimming in the lake is taken by your backyard spa, cycling and skateboarding are taken over by cars and playing outdoors is taken over by games on your tablet, PC or smartphone. For this, they are not being able to burn the calories they have taken. The result is the accumulation of fat in their body parts. Causes of environment: If your child runs towards the refrigerator, opens it up and finds foods like cakes, pies, and cookies, they won’t think twice before starting to eat them. Putting tasty fruits and veggies instead can reduce the problem by a considerable markup. Genetic causes: If parents are overweight, chances are very high that the child would also be overweight. Causes of socioeconomic factors: Children from lower income generating families are more likely to become fatty as the parents don’t have the necessary time to make healthy foods for their children. Causes of sleep: If your child is sleeping less than the average amount of 13 hours a day, (s) he has a chance to gain more weight. Medical condition: Medical conditions of the parents like Hypothyroidism, Prader-Willi syndrome, and Cushing’s syndrome make their child more vulnerable to obesity at a very early age. Previous Post:What is childhood obesity?